Just before the end of 2017, global cloud giant AWS announced a new offering called Bare Metal Instances. This will allow customers to run their applications directly on physical servers that live in Amazon’s data centres - without virtualisation, in other words, and therefore not really in the cloud at all. Commentators have been quick to frame the move as AWS throwing down the gauntlet to the traditional colocation and dedicated server hosting market. Data Center Dynamics, for example, reported the move “could undermine one of the selling points of colo providers”. In reality, of course, it’s more complex than that - and more a confirmation of colocation’s continued importance in 2018 than a move to consign it to history. For one thing, it supports the stance many data centre professionals have held since day one of the cloud, which is that some applications simply aren’t meant to run on virtual machines rather than physical servers. This may be for reasons of software licensing and compatibility, which could be interpreted as an argument to upgrade, but can also be because of performance, security and compliance barriers that aren’t as easily addressed or overcome. Either way, it shows how the case for cloud isn’t always as clear-cut as some would have us believe. Secondly, the move reflects how hybrid IT is still on the rise and how there’s now demand for suppliers that can do more to bridge the gap between physical servers and virtual machines. As we noted in our Data centre predictions for 2018, almost three in five (58%) of the growing number of UK companies that have adopted the cloud have done so as part of a hybrid IT estate. So cloud infrastructure is an adjunct, not a replacement, to physical servers. That all said, what will it mean for the traditional colocation suppliers now that their rivals in the cloud are gearing up to take advantage of the above trends and offer their own take on non-virtualised infrastructure? 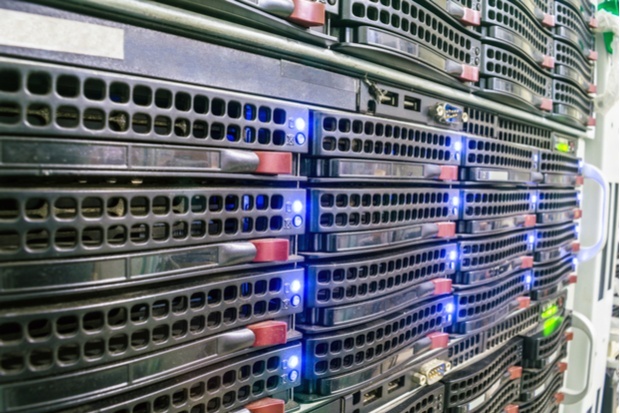 Perhaps not a lot, as there are still obvious reasons for companies to favour true colocation over what are essentially dedicated servers provisioned in a cloud-like way. Cost management is one example. Colocation allows firms to use their own hardware as opposed to renting someone else’s, minimising their exposure to the risks of subscription-based pricing such as sudden price increases and hidden or unpredictable costs. Even where there’s an argument in the longer term to replace legacy infrastructure with applications and services that can be delivered from the cloud, colocation is still the most obvious way to maximise ROI on that infrastructure until it reaches end-of-life. More generally, colocation offers a level of hands-on control and flexibility that still has value for companies with very specific requirements from their hardware - something that off-the-shelf dedicated servers or bare metal instances will never really be able to match. Finally, it’s worth pointing out how a common driver for companies to use hybrid IT is to improve the diversity of their supplier base - whether for reasons of cost management or as a business continuity measure - and it’d therefore be a step backwards for them to consolidate all their infrastructure under one cloud provider. In this sense, it’s more important than ever for data centres to preserve traditional colocation as a core offering. Looking for more information on colocation and what to look for in a provider in 2018? Download our data centre services buyer’s guide today.